Winter Promo Deal – 1 week left! One of the many privileges the guests of AthenStyle have is to enjoy a wonderful breakfast meal in their favorite part of town, the famous Rooftop cafe bar on the 6th floor! Athens has such wonderful weather, so you can continue to enjoy your meal with the Gods all through the winter of 2016! You can order fresh bread with jam and butter. Cereal or muesli with milk. A bowl of fresh seasonal fruit. Greek yogurt with honey. Freshly sliced ham, cheese, cucumber and tomatoes. And free refill of real brewed coffee and tea. All this only for 4euro! Come up to start your day with Everyday our friendly staff is ready to welcome you with a happy smile and to serve you this healthy and energetic meal! So come on over to AthenStyle and start your days in this great way! 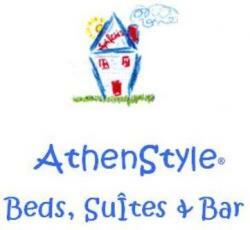 Book your stay on http://www.athenstyle.com! The Greek cuisine is considered one of the best in the world, due to the Mediterranean lifestyle. This country is lucky for its soil because it’s the main part in the world with so many olive trees that give the virgin olive oil. All Greeks use it in the kitchen for pretty much everything they cook! Upon your visit in Greece, doesn’t matter how long you’re staying, you MUST try the following delicious dishes! A casserole in the oven with eggplant, potato, minced meat and cream on top. Probably the most traditional dish Greece has! Another main casserole dish in the oven made by a type of macaroni of your choice (usually rigatoni), minced meat and cream on top. Delicious! A classic dish of stuffed vegetables such as tomatoes, peppers and eggplant. Filled with rice, chopped potato and other vegetables. In some areas of Greece they also add minced meat. Tasty and healthy! The famous Greek salad that combines tomato, cucumber, green pepper, onion, olives and feta cheese all mixed together with virgin olive oil and oregano. A pie with the famous Greek filo pastry, with spinach, feta cheese, onion in the filling, all wrapped around and baked in the oven! It’s usually made in a large pan and served in pieces. But for sure for can’t stop at just one piece! The restaurants in Athens cover the full range of the Greek menu, so the days you’ll spend here are going to leave you and your stomach fully satisfied! AtheStyle is a great place to stay with cheap accomodation and of course to eat at it’s famous Rooftop Bar with it’s killer view of the Acropolis! One of the best hostels in Athens, book your stay at http://www.athenstyle.com!